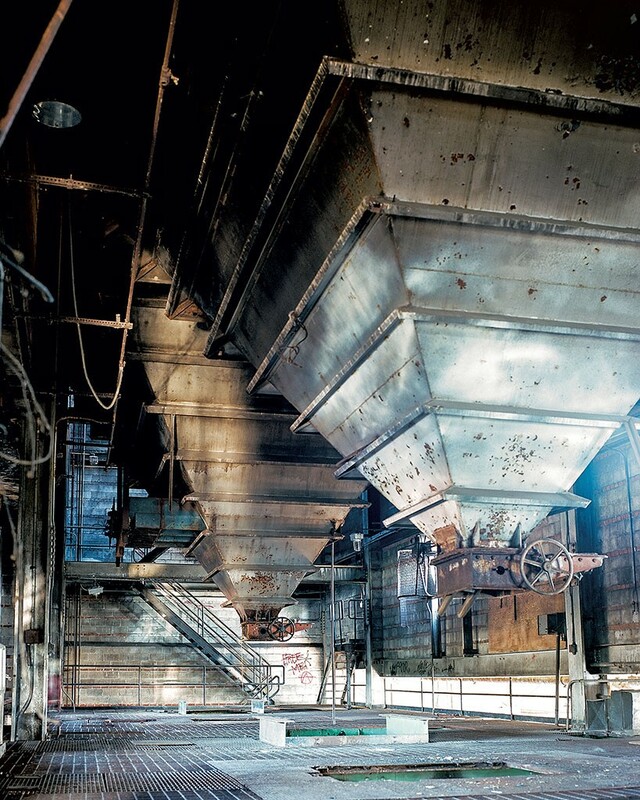 An experienced developer has come to the aid of the trio trying to transform Burlington's Moran Plant from a hulking industrial relic into a state-of-the art waterfront landmark. Redstone Commercial Group's first recommendation for the "New Moran" team: scale back the $34 million project — to a $20 million one. The new partnership is designed to reassure public officials, who have expressed doubts about whether entrepreneurs in their mid-twenties, Tad Cooke and Erick Crockenberg, and their more senior partner, Charlie Tipper, could pull off the revitalization venture they launched four years ago. Even with Redstone on board, the group still faces a fundamental test: convincing Burlington Mayor Miro Weinberger and city council that New Moran is feasible. Others, including the YMCA and a Scottish ice-climbing company, have tried and failed to redevelop the former coal-fired electric generating plant that was decommissioned three decades ago. It's been more than two years since the mayor endorsed a proposal from Cooke, Crockenberg and Tipper to turn the building's ground floor into a marketplace with food vendors, artisans and retail shops and convert the second to a 1,500-person events space for concerts, conferences and other functions. A glass addition would provide a communal workspace for new businesses. Burlington voters came on board in March 2014, approving $9.6 million in tax increment financing for various waterfront projects, including Moran. In August of that year, the New Moran team signed a memorandum of understanding with the city. The next step was for both parties to sign a development agreement by March 2015. That document would outline conditions under which the city would agree to go ahead and take on $6.3 million in debt to fund the project. One year later, they still don't have an agreement. Publically, the Weinberger administration has downplayed the delay, emphasizing that it's common for complex, large-scale projects to take longer than expected. Privately, however, administration officials began raising serious concerns with the New Moran team last November. They observed that the group had an abundance of advisers but no development experts actively involved in the day-to-day work. This experience deficit exacerbated the administration's doubts about other parts of the plan. In particular, they questioned whether the team could really bank on getting $9.6 million from the New Markets Tax Credit program. The convoluted and competitive federal program gives tax credits to investors who fund qualified projects in low-income areas. Optimism among some city councilors was flagging, too. "I think we were at a point where we were almost ready to give up," said Dave Hartnett, an independent councilor. In his view, bringing in a developer was essential to the project's survival: "I think it was either this or Moran was coming down." Cooke, Crockenberg and Tipper turned to Redstone principal Larry Williams and development manager Erik Hoekstra, both of whom had already donated money and taken seats on New Moran's "champions council" of well-connected supporters. 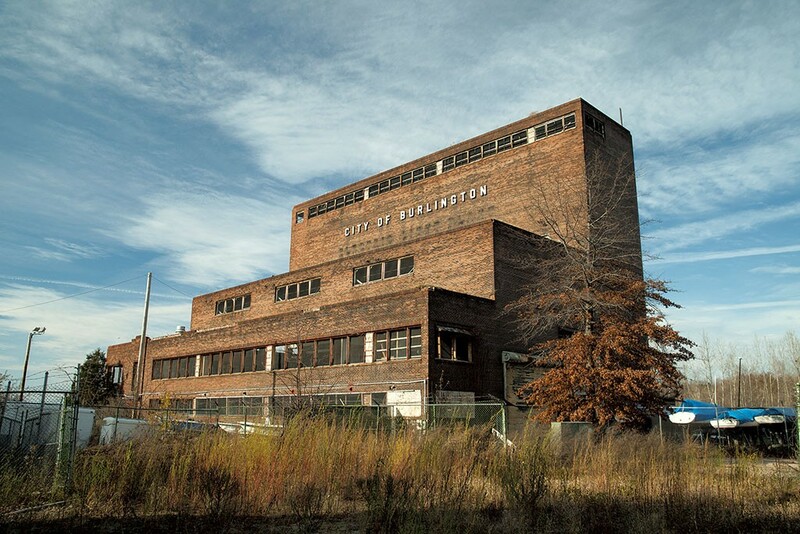 "There are a lot of people in town who would rather see that thing torn down," Hoekstra said in an interview last week. But at Redstone, "We've always kind of admired it as this architectural artifact." He and Williams agreed to review the project and make a decision within 60 days — by the end of February. "We spent a lot of time really digging into what they had done," Hoekstra said. They concluded that the project was possible, but the current plan was too ambitious. Cooke, Crockenberg and Tipper agreed to get rid of the glass addition, which would have encased the exposed steelwork on the north side of the building. According to the revised plans, the weathered steel will get refurbished but remain exposed. On February 29, the Redstone execs signed a development services agreement spelling out their respective roles. The original New Moran members will focus on raising money from donors, an endeavor that was put on hold for several months while they addressed the Weinberger administration's concerns. So far, Cooke said, they have roughly $800,000 in hand and $3.4 million in pledges. Their goal has been to raise $11 million, though Cooke noted they may lower that figure to reflect the more modest plan. Meanwhile, Redstone will take the lead on the design, permitting and construction work. It will also be working to secure historic and new markets tax credits to help finance the project. According to Hoekstra, Redstone has extensive experience with historic tax credits — which are awarded to projects as long as they fulfill certain requirements. The company has completed only two projects that relied on new markets credits, but Hoekstra noted that he has prior experience with the program from working at Housing Vermont. Despite the fact that the partnership requires him to give up some control over the project, Cooke described it as "a really positive development." It's also a pretty good deal. Although the developer's fee hasn't been determined yet, both Cooke and Hoekstra confirmed it will be heavily discounted. And if the project doesn't materialize, Redstone won't get paid at all. "We don't get involved in things we don't think are going to happen," Hoekstra said. City officials say the developer's decision to sign on — and accept the risk — is encouraging. The new New Moran has to reach an agreement with the city — and with the nearby projects, including the marina and the sailing center — about who will pay for infrastructure upgrades on the waterfront, including parking and utilities. Securing new markets tax credits is not a sure thing. Hoekstra said, "I'm optimistic they will play a role, but in the end, it may be a smaller role than was previously contemplated." To show that the building will be able to sustain itself financially, city officials want to see tenants signing up soon. Currently, Cooke said he and his colleagues have a "letter of intent" — he declined to say from whom — for the entertainment hall on the second floor. But they still need a binding lease agreement and tenants for the ground floor. Occupants must comply with the public trust doctrine, a long-standing legal mandate that requires the filled land along Burlington's waterfront be used for purposes with a direct public benefit. Another conundrum: No one wants to be the first to commit. Hoekstra offered this example: The city wants Moran to line up tenants before committing the $6.3 million, but "in order to lock in tenants, we need to count on funding from city." "There's so much chicken and egg with this stuff," he observed. Meanwhile, at least some city leaders are dropping hints that they're not willing to wait indefinitely. Hartnett said Redstone brings much-needed "credibility" to the project, but he continued, "Quite honestly, it's taken too long to get here." He's not the only councilor who plans to start demanding hard deadlines — which have been absent for more than a year. "I absolutely want this project to proceed," said Max Tracy, a Progressive councilor. "I think we owe it to the voters who approved this project to have a clear timetable out there to really measure the progress." Currently, the plant is a monument to stasis — all the more conspicuous given what's happening around it. The city recently repaved the bike path that runs by Moran, extended Lake Street, added parking and built a new skate park that's teeming with activity. Just north, construction is about to start on the new Community Sailing Center. If all had gone according to plan, New Moran would have been breaking ground this spring, too. Weinberger pledged two years ago that if New Moran fails, the seven-story brick building would be demolished. Now he has to be feeling some pressure to make a final call. But he's agreed to give the expanded team additional time to present a revised proposal and prove that it's feasible. "I know everyone, including the New Moran team, thinks the next few months are critical," he said.